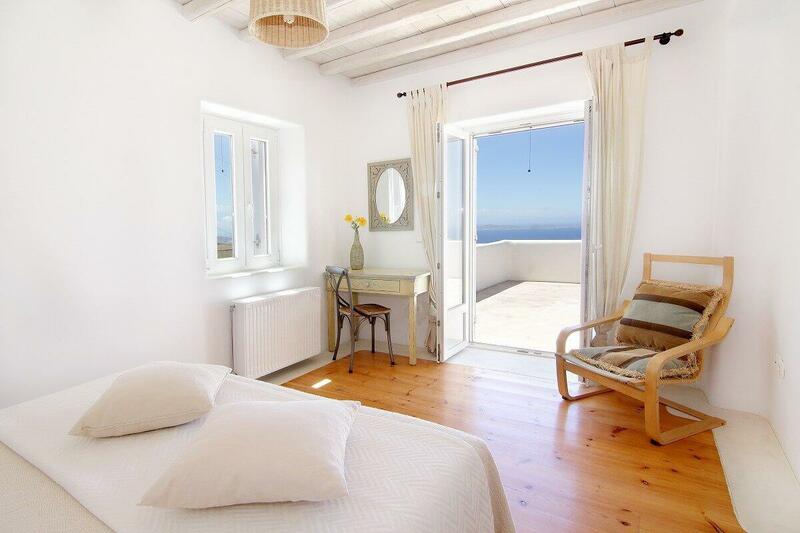 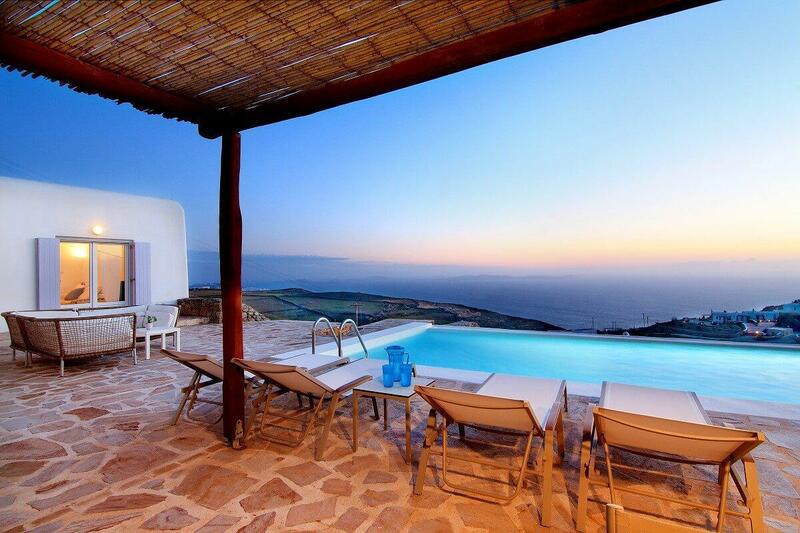 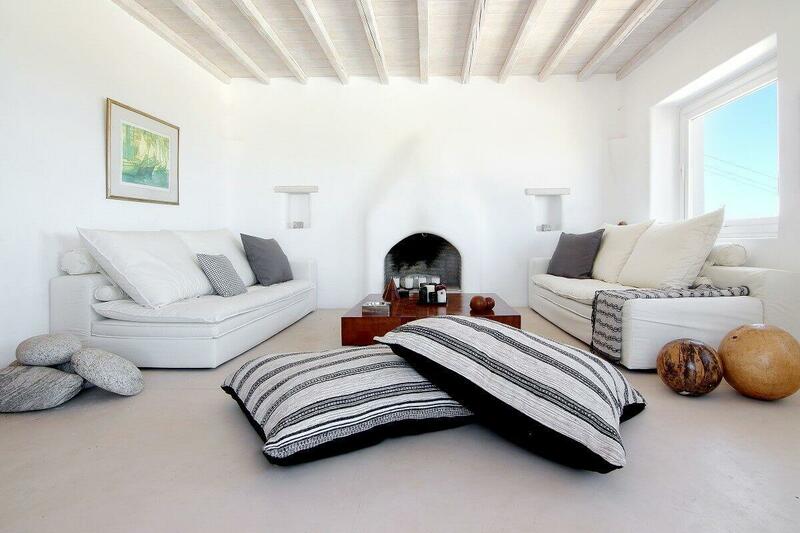 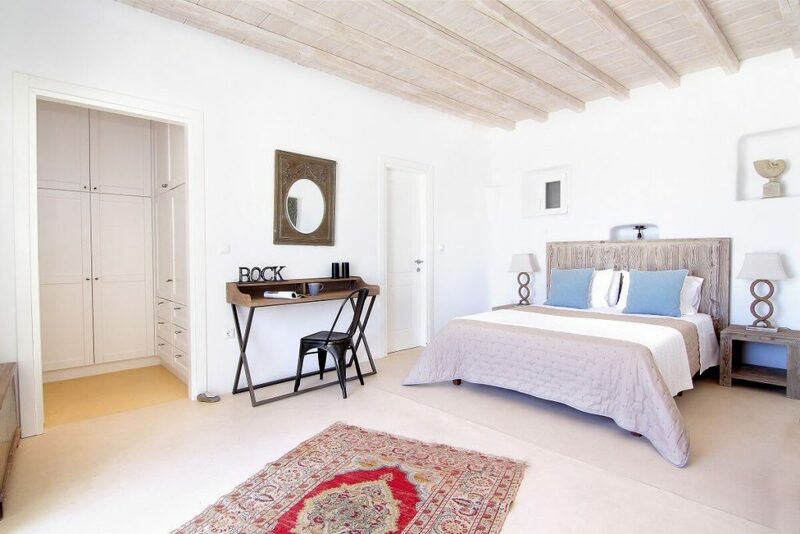 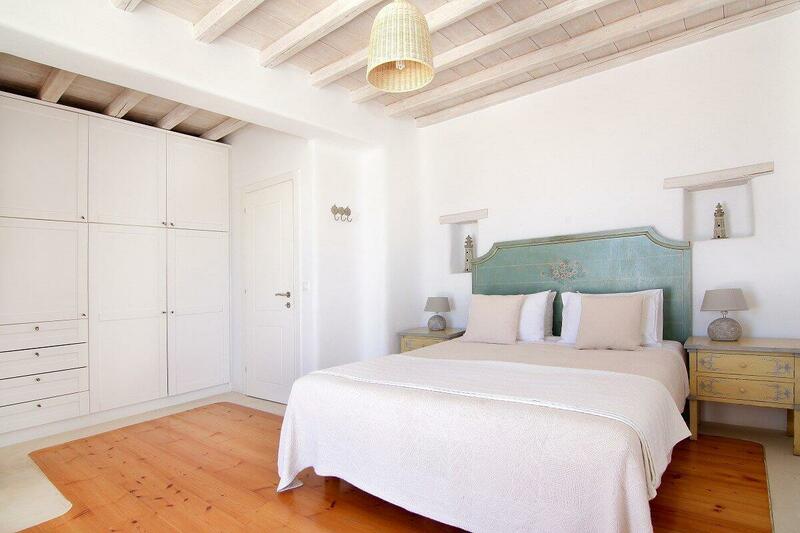 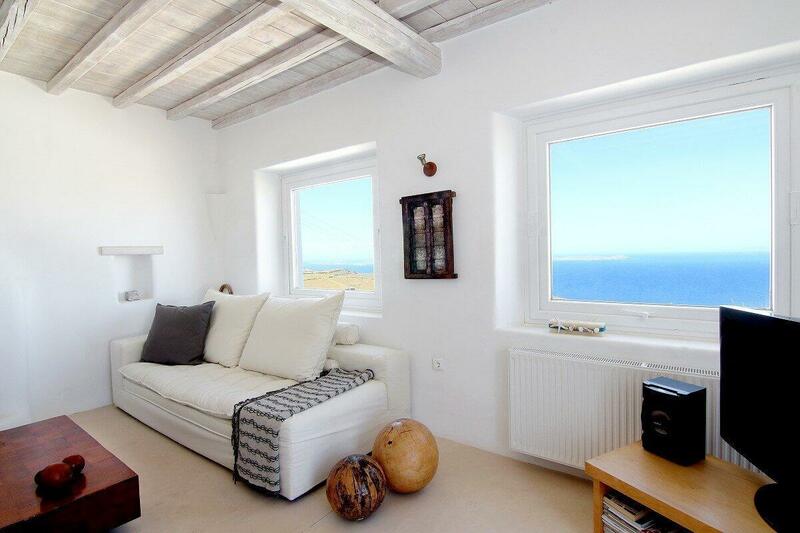 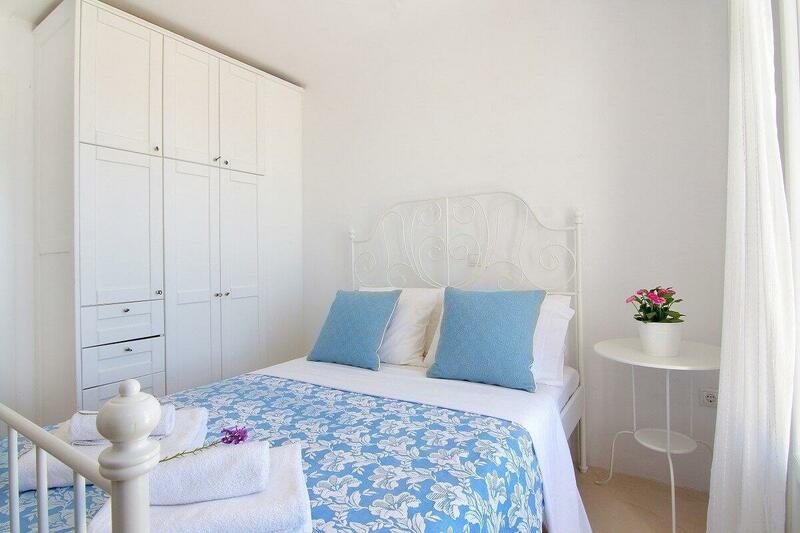 Villa Ayesha is located in Kastro Fanari area and can sleep 8 people in utmost comfort. 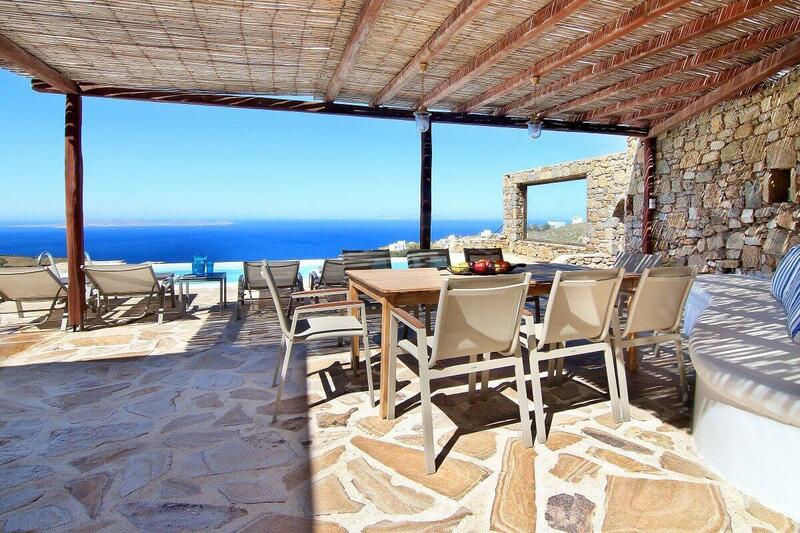 Its proximity to Mykonos town –famous for its whitewashed windmills, splendid bars and eateries -makes it a very appealing choice for fun-seekers. 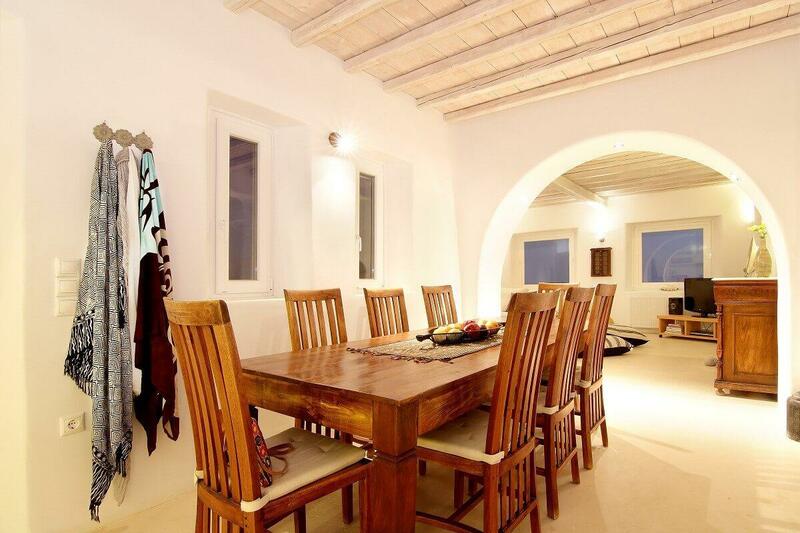 Mykonos airport is only a 15-minute drive from the villa. 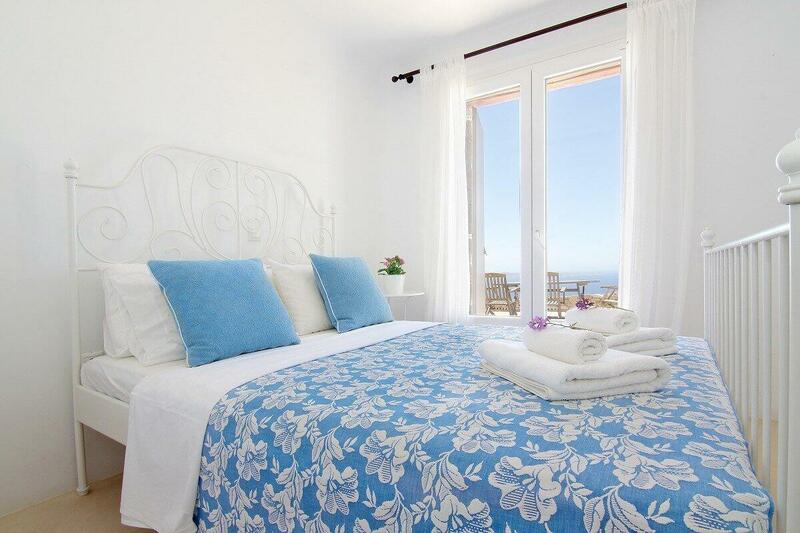 The upper level includes a master bedroom with king sized bed (plus en-suite bathroom) and private sea view balcony. 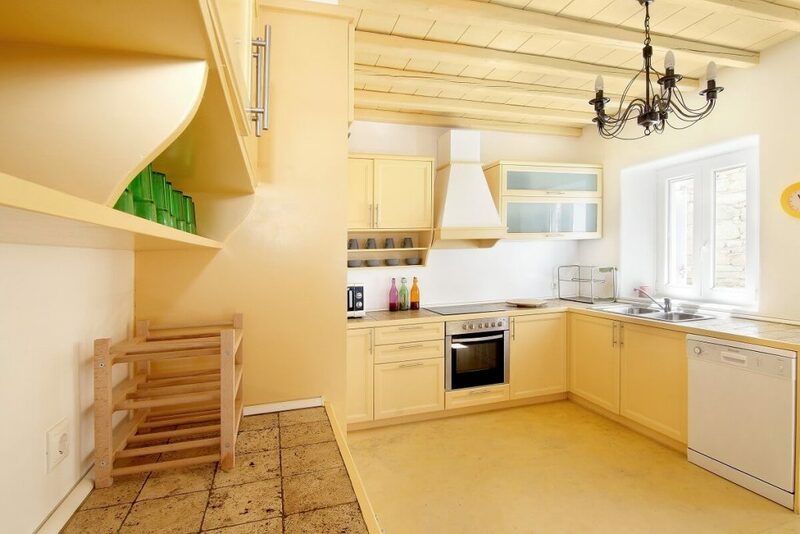 The ground level has an ample-sized living and dining room as well as a fully equipped kitchen and a BBQ for meal gatherings. 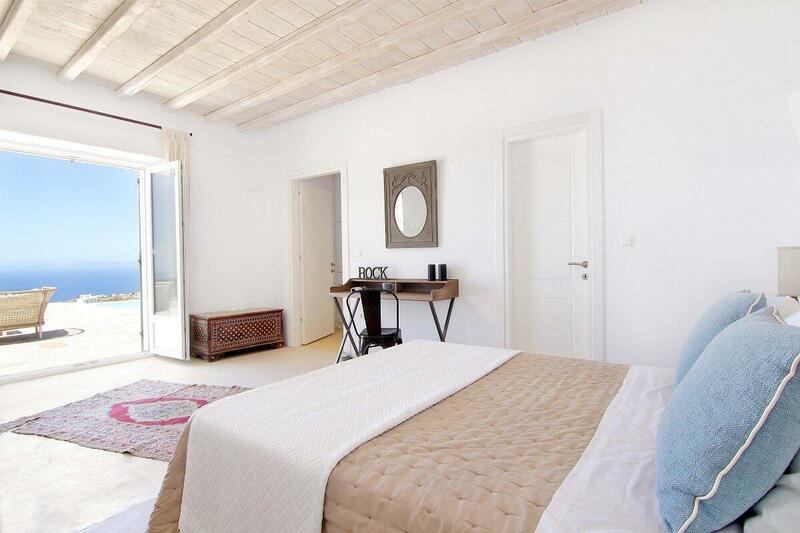 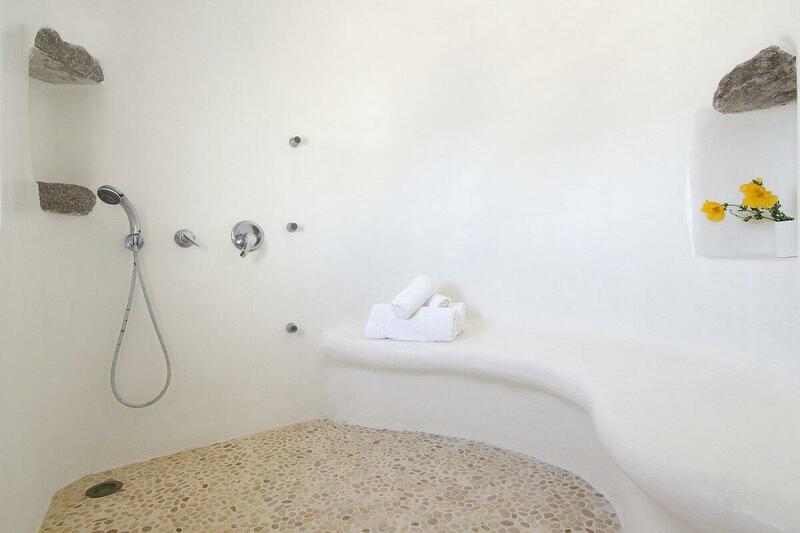 Also consists one more double sized bed bedroom with its bathroom and exit to pool terrace as well. Pool level also offers a magical private pool, exterior lounge, dining area. 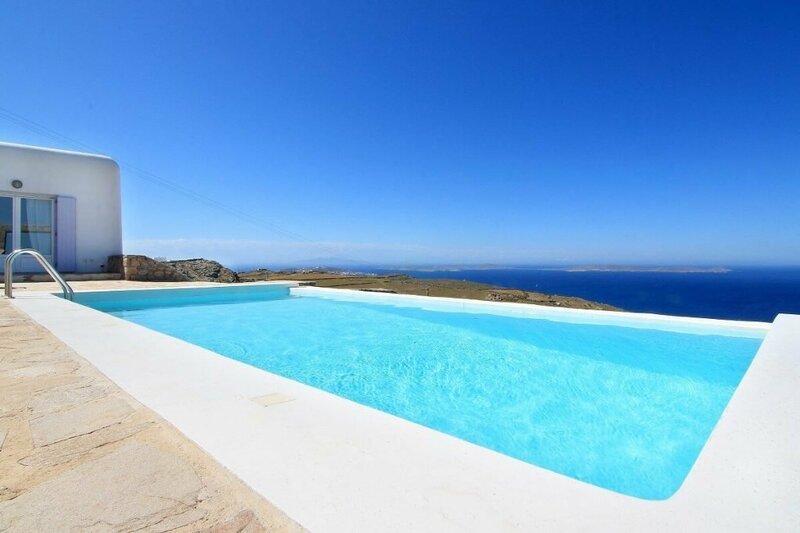 Finally, a few stairsteps below the pool level guides you to lower level with 2 more double bedrooms and their in suite bathrooms and magnificent sea views. 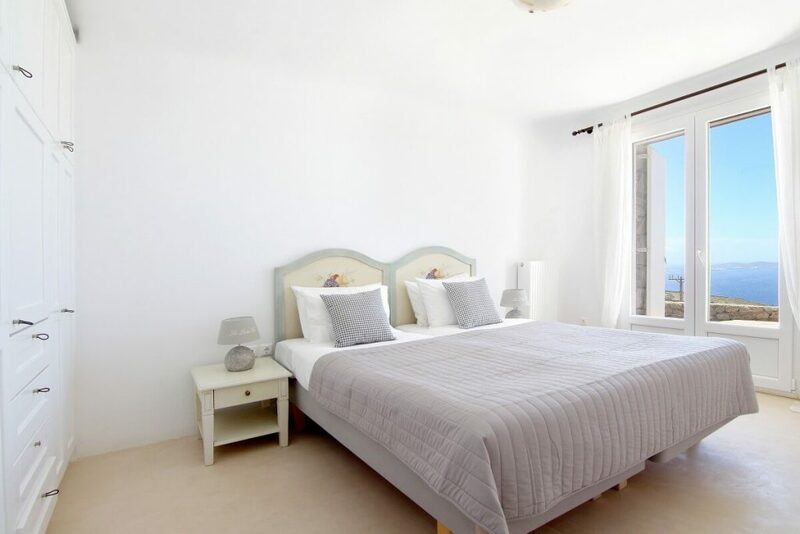 Agios Stefanos beach with its crystal clear waters, cafes and restaurants, Mykonos Town and the old port are perfect locations to explore in short distances. 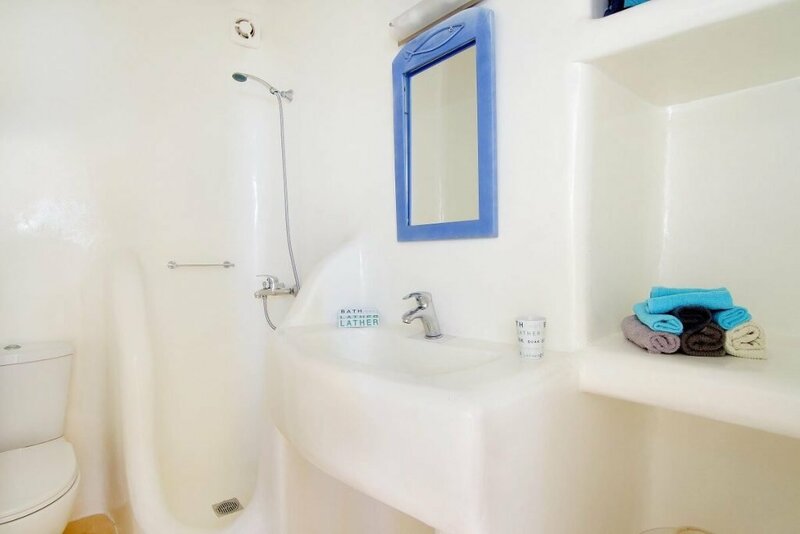 1 double sized bedroom, en suite bathroom, access to to pool terrace.